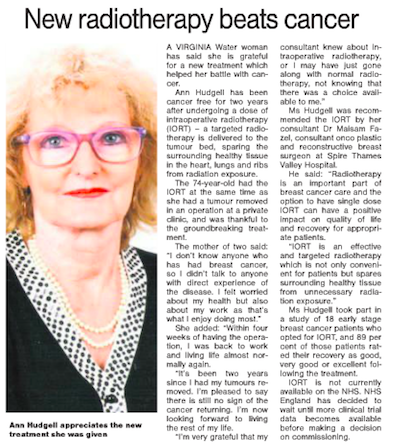 Recent coverage in the media on Thames Breast Clinic and the work they do. 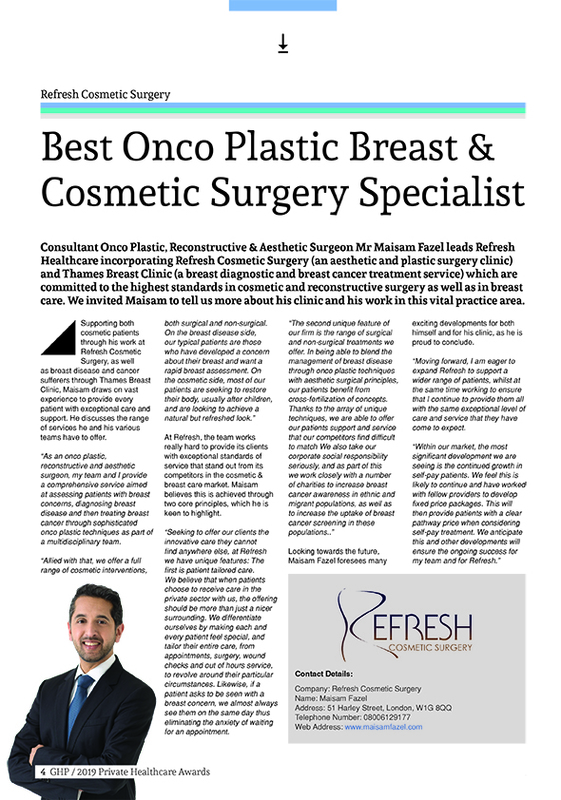 Mr Maisam Fazel was recently awarded Best Onco Plastic Breast & Cosmetic Surgery Specialist in the Private Healthcare Awards 2019. He explains how he combines his aesthetic and plastic surgery experience with breast cancer diagnosis and treatment, as part of a multidisciplinary team committed to offering the highest standard of breast cancer care.